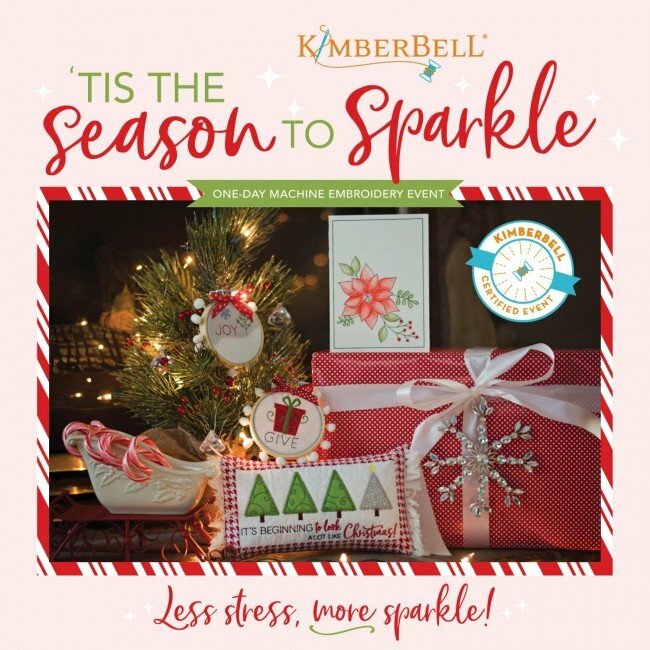 Kimberbell Tis the Season - Middleburg Hts. We’re talking less stress, more sparkle! In one day you'll finish four festive projects including two Christmas ornaments, a premium watercolor card, and quilted decorative pillow. Enjoy the machine embroidery fun with Kimberbellishments, including bamboo hoops for ornaments, watercolor pencils with blending brush, and pillow form. Requirements: There is no supply list, must have 6 X 10 hoop or bigger, basic sewing kit, & prewound white bobbins.